For the last day in this series, which I have titled “Tripidation“, because it was the trip I took with trepidation, I have a miracle to share with you. Yes today, like all previous six posts, is inspired by one word. I’ve reflected on my trip through the words JOY, Faith, HOPE, Serve, Grateful, LOVE and now Miracle. 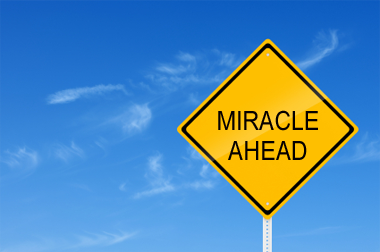 And boy do I have a story to tell that is quite literally a miracle. One of the major events of the pilgrimage to the Holy Cross Dandora Parish by the group from St. Monica’s was the much anticipated opening of the Our Lady of Visitation Maternity Hospital. This hospital, on the grounds of the Parish in Dandora, was in gestation for several years under the nurturing guidance of Jill Tabit and her non-profit New DAWN. Though she humbly says she only helped connect the dots, she was the tireless leader of it all. 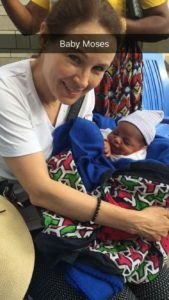 Joining with the strengths of the University of Notre Dame, this clinic will serve a much needed community of expectant mothers that quite literally have no where else near to safely deliver their babies. On the 11th of June, a glorious Saturday, the locals were out in force to help christen the new center. The staff were overjoyed to be on the inaugural team at this facility where finally the village women could give birth with dignity and care. 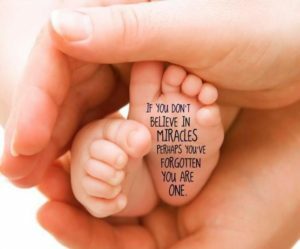 But the most amazing miracle happened that day. After all the festivities, the ribbon cutting, tour of the center, music, dancing and a buffet lunch, a baby appeared. Two women found a newborn baby abandoned at the nearby dump and brought him to the maternity hospital. It was apparent that he was healthy but needed immediate care. He was going to be fine, and thanks be to God this center was there. With all the medical facilities and staff who were well able to look after him it was an utter miracle he was found and brought to safety. He was given the name Moses. How fitting as it mirrored the Bible story about the prophet Moses, also an orphan. As I got the chance to hold him, my heart ached thinking about the mother giving birth, probably scared and alone. I wondered what happened to her. But I was relieved that he was healthy and safe and happily sleeping in my arms. I would have taken Moses back home with us if that were possible. But the law states you have to be a resident of Kenya for 18 months to adopt. But he is in my prayers and is a reminder that all life is precious. Even Steve Jobs, the man behind the success of Apple Computers (on which I am typing this post) was given up for adoption. His mother also scared I am sure, but she was brave enough to bring him into this world. And boy he sure made his mark. As so many children who were given the gift of adoption, a chance for life like John Lennon. I pray for Moses and how he might make a positive difference in the world like they did. And I pray for all those moms in Dandora that now have a better chance at the miracle of childbirth because of the Our Lady of Visitation Maternity Hospital. 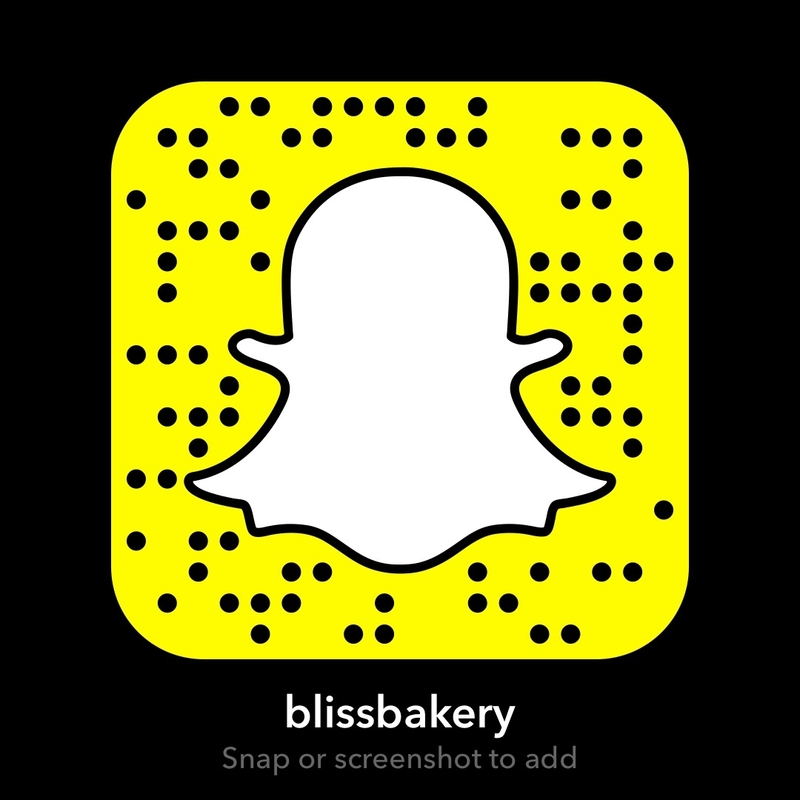 A little footnote, today I was doing a pancake tutorial on my snapchat account (username blissbakery) and I think we had a visitation of our own. No joke. 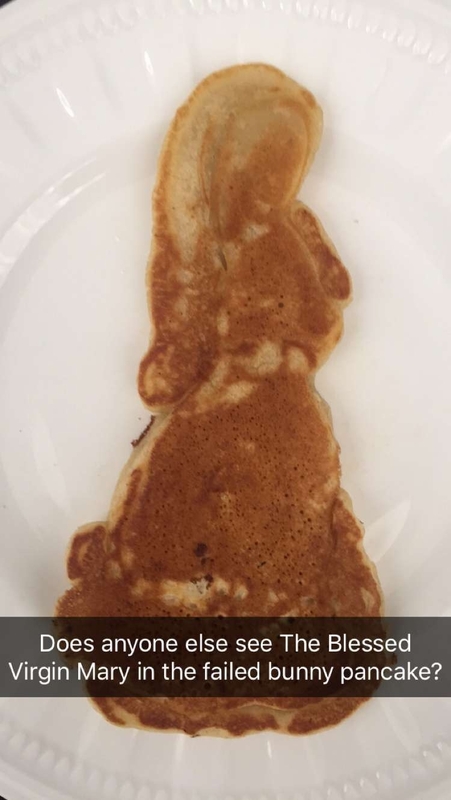 I think I can see Our Lady the Blessed Virgin Mary on this pancake. Considering that I was aiming for a bunny, at first I felt like it was a major cookery fail. Now I am beaming thinking this is a cookery miracle! I received so many messages from people saying, yes they could see it. However, where I saw praying hands, others said, no it is her holding baby Jesus. Miracles are everywhere folks. This entire experience to Dandora one of the largest slums in Kenya, Africa was so incredible. Thank you to those of you who joined me on Snapchat, Instagram, and those only reading about it here. I feel so honored to have been a part of the St. Monica’s team that traveled there, grateful to my Hubby for taking me, and to all the people whom I met there. My heart is forever transformed. What a truly beautiful, heartfelt, love guided trip and inspirational writing. Your empathy and compassion shine through from your soul onto your words on screen. I have always had a deep desire to somehow be of assistance to the African people. Your trip was borne of love and you’ve undoubtedly touched the lives of many, just as they touched your heart.